In 1884, Daniel Parish commissioned the French architect, Detlef Lienau, to build an office and retail building at the corner of Broadway and East 17th Street. A renowned New York City architect, and one of the founders of the American Institute of Architects, Lienau was known for his beautifully crafted beaux-arts style drawings. 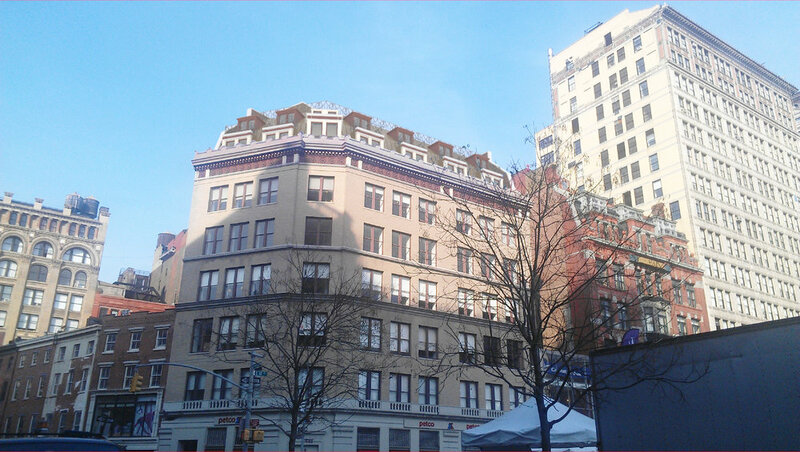 His original building at 860 Broadway was an ornate red brick and cast-iron composition. In the 1920’s, the building was stripped and re-clad in a neutral brick. Most of the building’s ornament was removed with the exception of its scalloped parapet, cornice, and terracotta frieze. 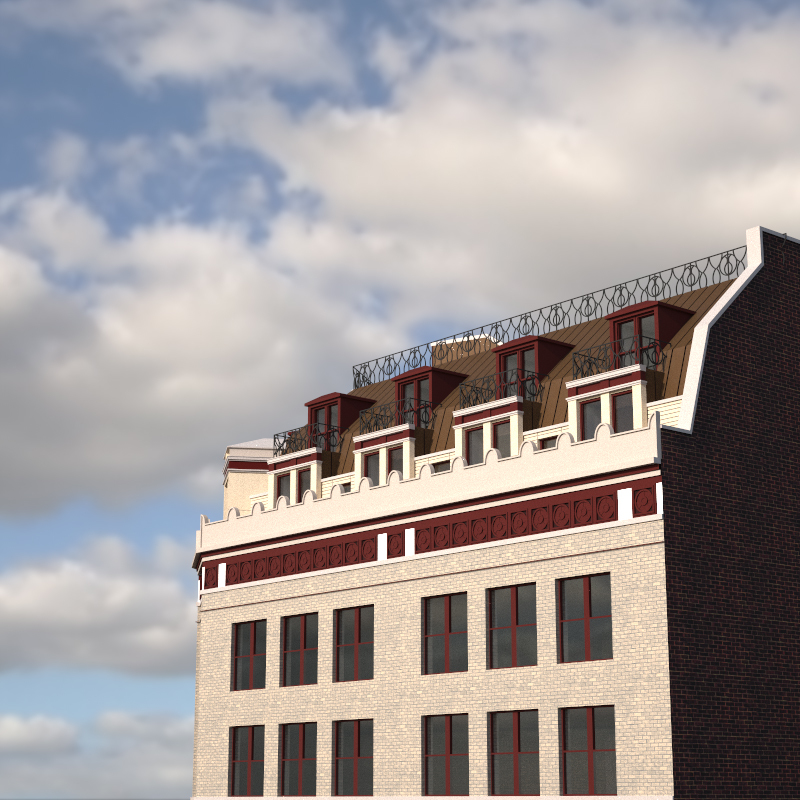 In approaching a design for a rooftop addition, PKSB looked to Lienau’s well-preserved archives and discovered an early design iteration which included a mansard roof. PKSB carefully sculpted a two-story addition with sloped roof and articulated dormers to provide an appropriate “cap” for the building while preserving its austere street façade and historic cornice line. 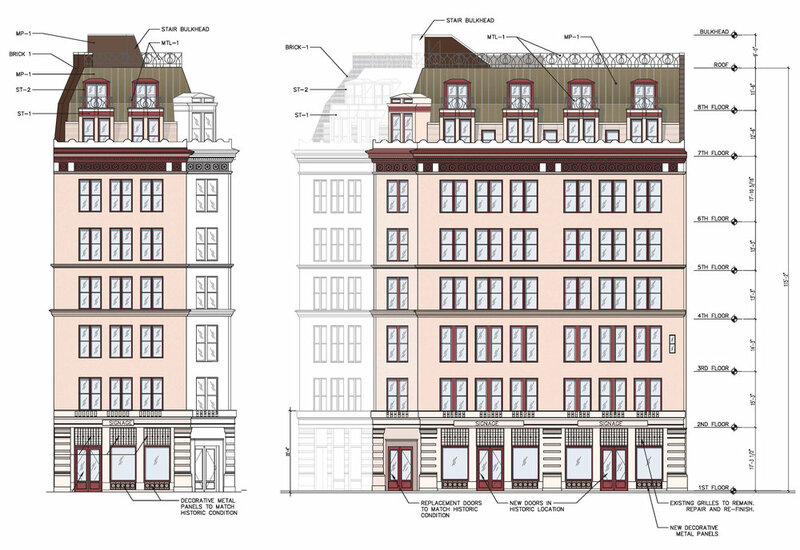 The design underwent extensive reviews and ultimately gained approval at the Landmarks Preservation Commission in 2014.